A new legal framework for better and safer functioning of banks is based on the experience gained in the financial crisis, which revealed vulnerabilities in the rules and supervision of the EU banking sector. 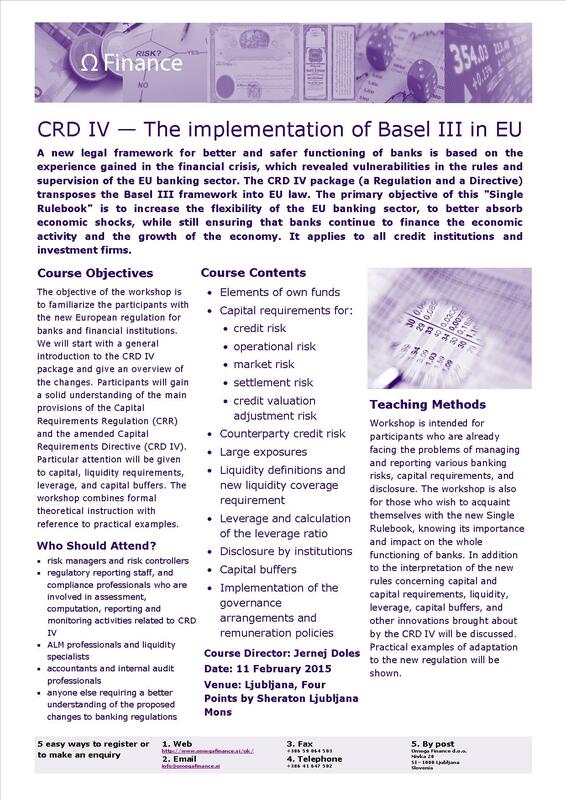 The CRD IV package (a Regulation and a Directive) transposes the Basel III framework into EU law. 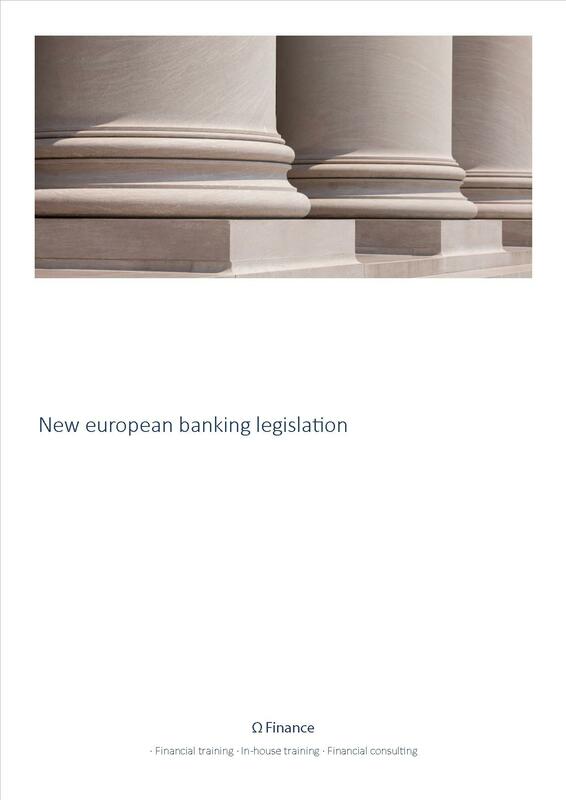 The primary objective of this "Single Rulebook" is to increase the flexibility of the EU banking sector, to better absorb economic shocks, while still ensuring that banks continue to finance the economic activity and the growth of the economy. It applies to all credit institutions and investment firms. The objective of the workshop is to familiarize the participants with the new European regulation for banks and financial institutions. We will start with a general introduction to the CRD IV package and give an overview of the changes. Participants will gain a solid understanding of the main provisions of the Capital Requirements Regulation (CRR) and the amended Capital Requirements Directive (CRD IV). Particular attention will be given to capital, liquidity requirements, leverage, and capital buffers. The workshop combines formal theoretical instruction with reference to practical examples. 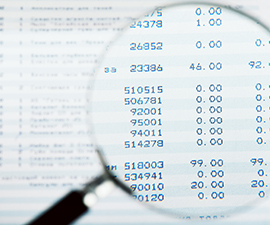 Workshop is intended for participants who are already facing the problems of managing and reporting various banking risks, capital requirements, and disclosures. The workshop is also for those who wish to acquaint themselves with the new Single Rulebook, knowing its importance and impact on the whole functioning of banks. In addition to the interpretation of the new rules concerning capital and capital requirements, liquidity, leverage, capital buffers, and other innovations brought about by the CRD IV will be discussed. Practical examples of adaptation to the new regulation will be shown.